The parish was part of the Scotter sub-district of the Gainsborough Registration District. 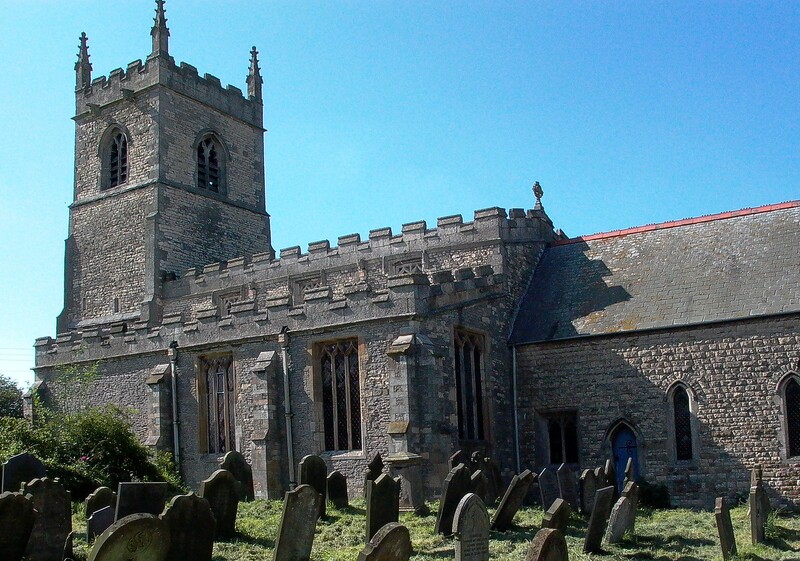 You can also perform a more selective search for churches in the Laughton (Blyton) area or see them printed on a map. The Anglican parish church in Laughton village is dedicated to All Saints. The church was endowed in 1310 by John DALDERBY and presumably built shortly thereafter. The church tower was repaired in 1876. This church was extensively repaired in 1879. The church was re-opened after 1896 restorations by the Bishop of Lincoln. There is a photograph of All Saints church on the Wendy PARKINSON Church Photos web site. Richard CROFT has a photograph of All Saints on Geograph, taken in 2006. Richard CROFT has a photograph of the church interior on Geo=graph taken in 2012. There was a church at Wildsworth once, dedicated to Saint John the Divine. The church started as a Chapel of Ease, built in 1838. The church was restored in 1896, and again in 1908. The church sat 80 people. The Diocese of Lincoln declared the church at Wildsworth redundant in June, 1982. Two years later it was demolished and the building site was made part of the churchyard. There is a photograph of Saint John's Church on the Wendy PARKINSON Church Photos web site, taken by David NAYLOR. The Anglican parish register dates from 1566, but is incomplete. There were also chapels for Wesleyan Methodists and Primitive Methodists in the village. For more on researching these chapel records, see our non-conformist religions page. See our Church Records page to see county-wide sources. Laughton is a village and parish almost due north of Gainsborough. It lies 165 miles north of London. The parish of Scotton lies to the north, with Blyton parish to the south. The parish covers almost 4,600 acres. Here's a view of the centre of Laughton, taken by Jonathan BILLINGER in 2011. Check out our touring page for more sources. Ask for a calculation of the distance from Laughton (Blyton) to another place. You can see the administrative areas in which Laughton (Blyton) has been placed at times in the past. Select one to see a link to a map of that particular area. The parish only recently celbrated its Military History with a War Memorial to airmen who had died in crashes in the parish. This place was an ancient township in Lincoln county and became a modern Civil parish in December, 1866. Wildsworth was also a township in this parish on the east bank of the River Trent. It split off to become its own Civil Parish in December, 1866. The parish was in the ancient Corringham Wapentake in the West Lindsey district in the parts of Lindsey. After the 1834 Poor Law Amendment Act reforms, this parish became part of the Gainsborough Poor Law Union. Bastardy cases would be heard in the Gainsborough petty session hearings. The Parish School was founded in 1566 by Roger DALLISON (also found as DALYSON). The school was replaced with a new structure in 1821. A new school was erected in 1841 to replace the one above and to hold 50 students. It was then known as the Free Grammar School. A school was erected at Wildworth in 1875 to hold 30 children.